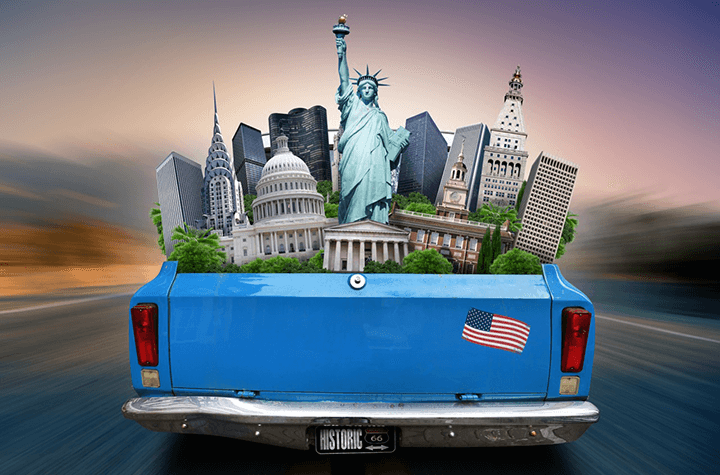 Does my auto insurance cover everything if I am driving in the United States? So, you’re planning a road trip to the United States. The bags are packed, the car is gassed up, you have snacks for the road, and your buddies have squeezed into the backseat. You think you have thought of everything, but did you check to make sure that your auto insurance would follow you south of the boarder? Here are some helpful things to look out for when ensuring you have proper coverage while driving in the US. Most auto insurance plans will offer you the exact same coverage in the US as they do at home in Canada. In some cases, however, there may be conditions that you will want to look out for. For example, some policies are limited as to the length of time your coverage is valid for in the US, or what dollar amount your collision or comprehensive covers. Your best bet to make sure that your insurance needs are covered while driving in the United States is to speak to your insurance broker. Inform your broker about your trip and ask questions about your coverage to ensure you will not be caught unawares in the unfortunate event that an accident occurs. In the event that your current coverage is not enough, your broker may be able to set you up with temporary coverage specifically for the US. What if I am renting a car in the US? Even when renting a vehicle, your existing insurance should provide you with coverage when driving in the US. However, not everything covered under your regular policy while driving your own car in Canada may be covered while renting a car in the US. In many cases, your basic liability coverage will still apply; however, options such as collision and comprehensive coverage will not. Whether driving in the US or here in Canada, there are two basic options to add extra protection on top of your own coverage while renting a vehicle. One option is to purchase additional coverage from the rental company itself. This coverage is known as a “collision damage waiver” and will protect you in the event of accidental damage done to the rental vehicle. More often than not there are exclusions that apply to this type coverage, and the coverage varies from rental company to rental company, so be sure to read the fine print and fully understand what level of coverage this option will give you. Another option is your credit card. Many credit cards offer some sort of coverage when you rent a vehicle. As usual, stipulations may apply because some cards may only cover rentals from specific rental companies, and chances are you will have to charge the rental service to the credit card and forego signing the rental company’s “collision damage waiver.” The best practice is to phone your credit card company and inquire as to what coverage you can obtain. Additionally, in the event that you do not already have existing auto insurance, there are a number of ways to ensure that you are covered while renting a vehicle.